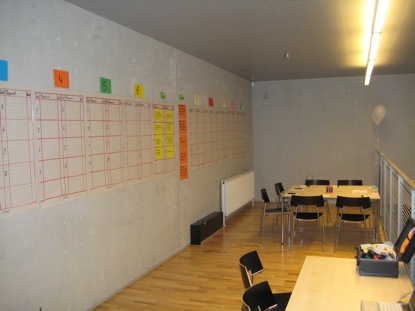 An interactive process in which the group, divided into small teams, is asked to develop proposals regarding 7-8 categorieswhich are defined beforehand. The process is shaped as a competition where proposals are judged by a jury, and the best team gets a prize. A concluding part in which proposals are commented and the winning team is announced. 15-20	minutes	Opening and welcome, explanation of the process. The method is an effective way to have a larger group think and exchange knowledge about how to go forward with a limited number of clearly defined issues. The group is divided into groups of 5-10 participants who each sit at a table. The groups task is, to define one proposal for each issue. These issues are defined beforehand by a small preparation group. As soon as a group has decided upon a proposal, they write it down on a card, and send it to the jury, who gives a score tothe	proposal. 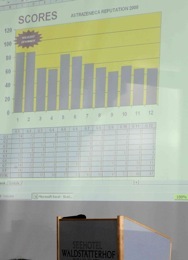 The group is then informed of their score (between 0 and 15 points). - how innovative is the proposal ? - how big is the chance we will implement it ? - what is the return on investment ? 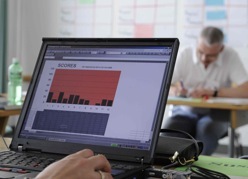 - can results be evaluated ? - quality of the argumentation. As soon as a group is informed about their score, they may decide to improve their proposal or send in a new one within the same category. However, only the highest score within one category counts. Scores are entered into an Excel spreadsheet which is projected as a histogram on a large screen, so participants can see who is ahead. 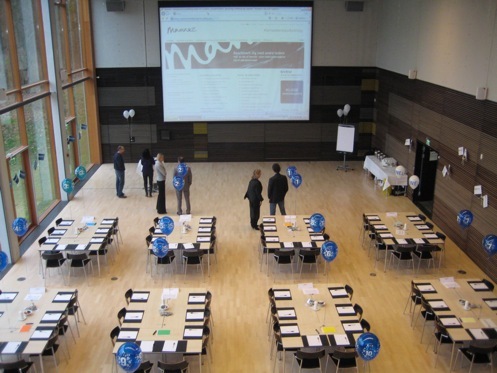 The jury can be composed of a management team, and/or experts which are invited. They work in a separate room which however must be close to the groups who compete. A variation is having a second room of experts which may be consulted by groups. At the end of the program there is time for reflection while the jury scores the last proposals.